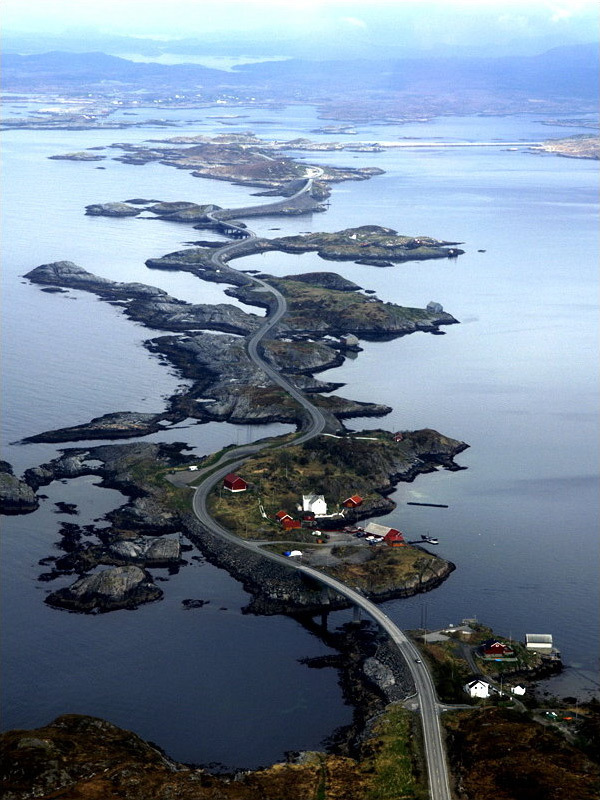 The Atlantic Ocean Road or the Atlantic Road (Norwegian: Atlanterhavsveien) is a 8.3 km (5.2 miles) long section of County Road 64 which runs through an archipelago in Eide and Averøy in Møre og Romsdal, Norway. The fixed link passes by Hustadvika, an unsheltered part of the Norwegian Sea, connecting the island of Averøy with the mainland and Romsdalshalvøya peninsula. The road runs between the villages of Kårvåg on Averøy and Vevang in Eida. The road is built on several small islands and skerries, which are connected by several causeways, viaducts and eight bridges—the most prominent being Storseisundet Bridge.